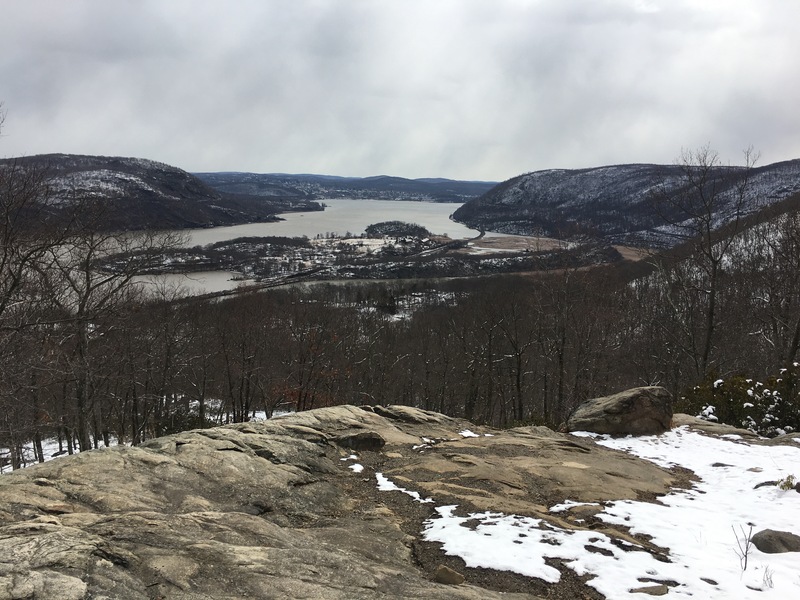 Last weekend was my 40th birthday and my wonderful wife took me to Bear Mountain in NY for a beautiful day hike. We stayed at the Bear Mountain Inn which was right on the Hudson River at the foot of Bear Mountain. It was a beautiful location and even though it was a bit off season (seemed more of a spring / summer destination) the Inn and restaurants were pretty packed most of the time. The Inn is right on the Appalachian Trail which was pretty cool. Most folks hiking northbound would be at this point well into the summer so they wouldn’t deal with the freezing cold that we had. It was about 25F at the base and was probably single digits with the wind chill at the top. Luckily Heather got me a Mountain Hardware Ghost Whisperer jacket for my birthday – I made good use of that. The jacket is pricey ($350) but is amazingly warm for how thin it is… 800-fill down will do that. And at 7.7 oz., it is a great addition to any cold weather hiking gear set. The summit was extremely windy! I was able to lean into the wind and it kept me standing so it was blowing pretty hard. I only took a couple pictures at the top. The best one was of Heather with the northbound AT trail marker – always the white blazes. Our faces were so frozen, we didn’t stay long! On the way down, we stopped to take a selfie on a bench that had been build into the side of the trail. I’m pretty sure Heather was smiling because we were almost back at the warmth of the hotel! We passed the backside of the same mileage sign and got the northbound mileage – only 786 miles to Mount Katahdin in Maine!